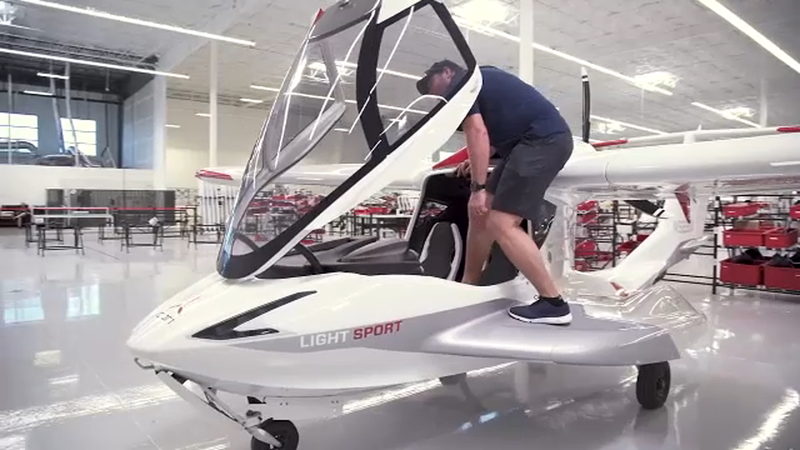 Less than a month ago, Roy Halladay shared a tweet from aircraft maker ICON Aircraft, that the company had just delivered its first 2018 A5 plane to the former pitcher. A day later, Halladay posted beautiful videos from the cockpit of that plane as he soared through the sky. That was the plane that Halladay was flying Tuesday afternoon, when he crashed into the Gulf of Mexico near Holiday, Florida. Halladay was not the first fan of the plane to die while flying it. 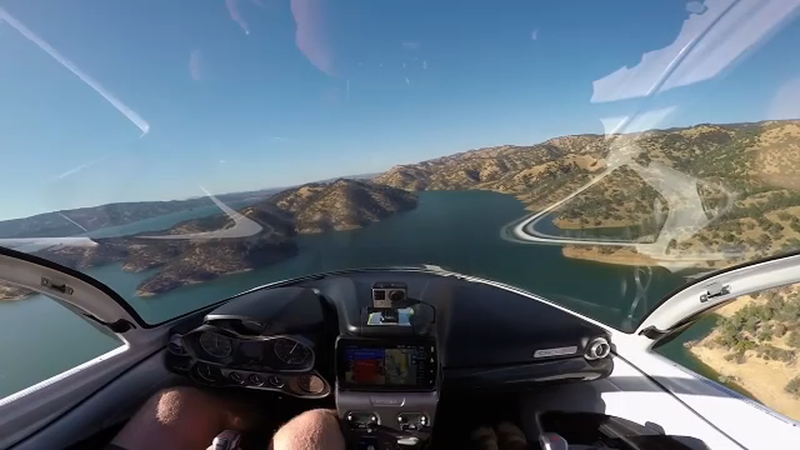 The lead designer of the plane was also killed in an A5 crash in California. The NTSB blamed that incident on pilot error, when John Murray Karkow flew too low into a canyon, striking a canyon wall. 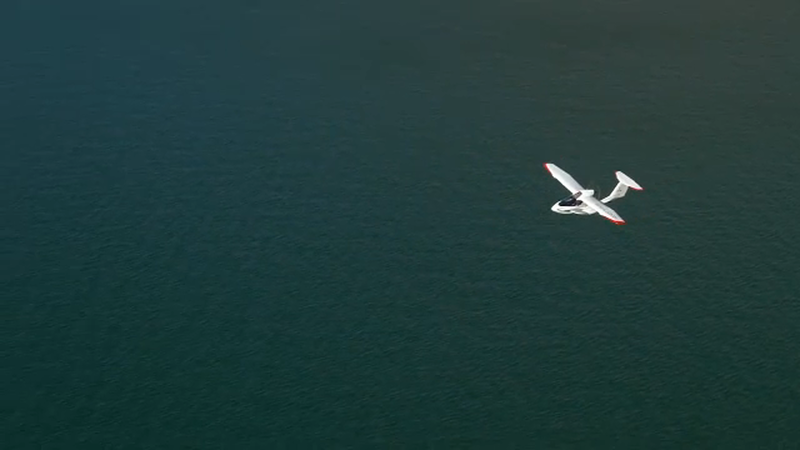 Critics say that the allure of the plane's ability to fly at a low altitude could make it dangerous to new pilots. The A5 is an unusual looking small plane. 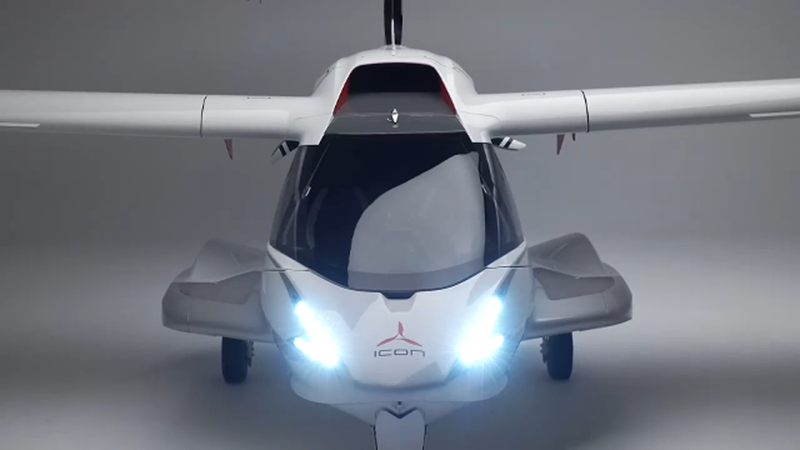 On ICON's webpage the company describes it as "Art Meets Aviation." 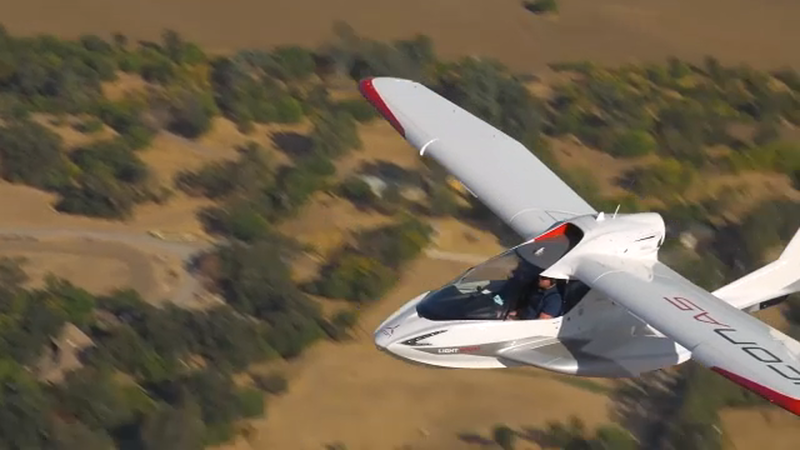 The plane's makers say it is made for entry-level pilots. 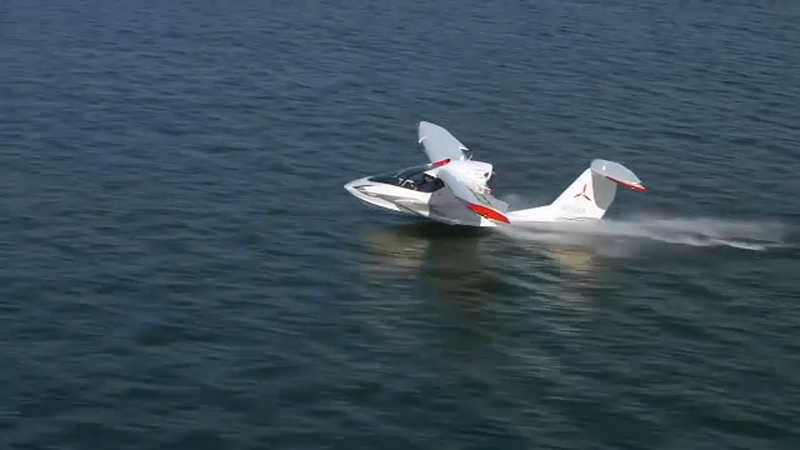 It is built to take off and land conventionally on a runway, but also in the water. Its compact body can be made even smaller with its foldable wings, making it a portable plane, that can be towed behind a personal vehicle. 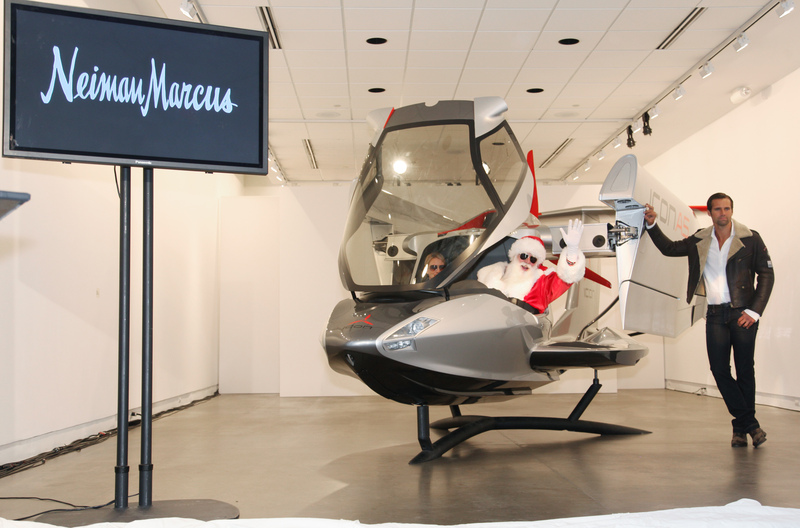 The Icon A5 fom 2009, when it appeared in the Neiman Marcus catalogue. As seen in the photo above, its style even landed it in the Neiman Marcus catalog. The A5 is one of several new models of planes to offer what's called a Complete Aircraft Parachute, which can help the plane make a safe landing in an emergency. 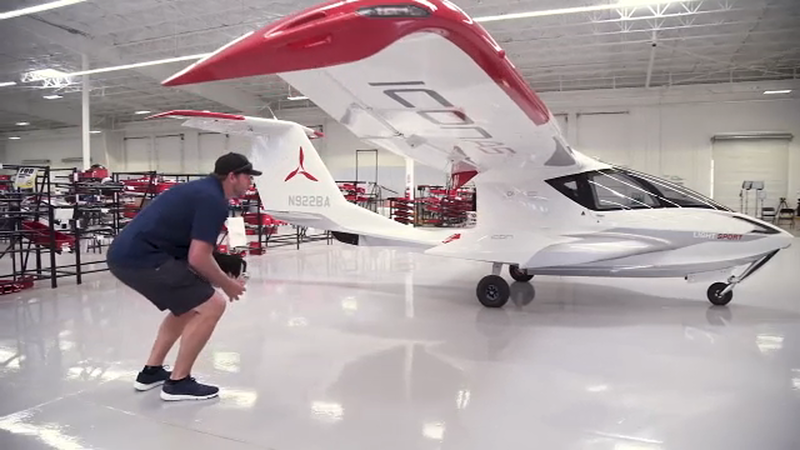 The plane is a two-seater and can reach air speeds of 109 miles-per-hour. It costs between $189,000 and $250,000.